Josh McCown is a Cleveland Brown. The veteran quarterback and the Browns have agreed on a contract today, the team and McCown’s agent Mike McCartney both confirmed on Twitter. McCown was released this month after a rough first year in Tampa Bay. He previously had a very promising showing during the 2013 season while filling in for Jay Cutler in Chicago. 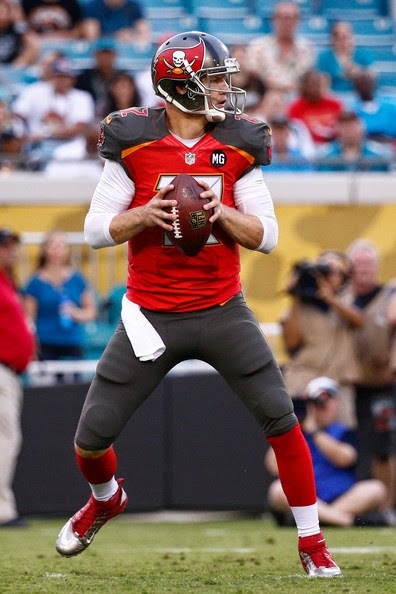 Cleveland has to hope it’s getting the Chicago version of McCown, and not the Tampa Bay version of McCown. Cleveland also has to hope that McCown can work well with Johnny Manziel, teaching Manziel what it takes to become an NFL quarterback but also starting for the Browns this season if Manziel isn’t ready. The arrival of McCown in Cleveland will almost certainly mean that free agent Brian Hoyer, Cleveland’s starter for most of last season, is going to sign elsewhere. The man who currently sits at 16 on the all-time rushing list will have to continue his climb through the record book with a new team. The Falcons have announced that running back Steven Jackson has been released. After nine seasons with the Rams, Jackson joined the Falcons two years ago. Jackson gained 1,250 yards on 347 carries, scoring 12 touchdowns. For his career, Jackson has 11,388 yards, more than Hall of Famers John Riggins and O.J. Simpson. 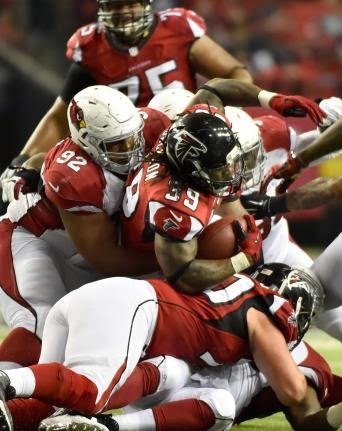 The Falcons won only 10 of 32 games with Jackson on the team, a slump that came after five straight winning seasons. For Jackson, the sub-.500 seasons continue a career trend. He has never played on a team that finished the year with a winning record. As a rookie in 2004, the Rams qualified for a wild-card berth with an 8-8 record. The move creates $3.75 million in cap space. Jackson will still count for $1.1 million based on previously-paid bonus money. He immediately becomes a free agent, able to sign with any other team. For Jackson’s sake, here’s hoping he lands with a team that finally finishes the year with a winning record. The Lions are moving on from tailback Reggie Bush. Detroit released Bush on Wednesday, Tim Twentyman of DetroitLions.com reported. PFT’s Mike Florio has confirmed the Lions have parted ways with Bush, a 10th-year back from USC. The 29-year-old Bush was slated to make $3.25 million in 2015 and $3.75 million in 2016, per NFLPA figures. According to Twentyman, the Lions will earn salary-cap savings of more than $1.7 million by releasing Bush. Bush was limited to 11 games in 2014, rushing for 297 yards on 76 carries and catching 40 passes for 253 yards. He turns 30 in March. Bush could appeal to clubs looking for a pass-catching back. He could also have a market with teams seeking to add to their RB rotation. 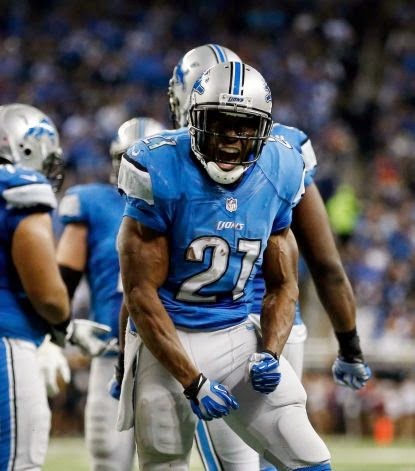 With Bush departing, Joique Bell and Theo Riddick are the Lions’ top two backs, with George Winn in reserve. The No. 2 overall pick in the 2006 draft, Bush has rushed for 5,465 yards and 35 touchdowns and has caught 466 passes for 3,489 yards and 18 TDs. He played his first five seasons with New Orleans (2006-2010) before moving on to Miami (2011-2012). Bush signed with Detroit as a free agent in 2013. Though former Ravens tailback Ray Rice has been free to sign with any NFL club since late November, he has yet to find work in the league. On Tuesday, Ravens General Manager Ozzie Newsome was asked if he believed Rice would get a chance with another club. “Well, I don’t know what 31 other teams are thinking,” Newsome said. “I think we’ll find out probably before April whether Ray will get the opportunity to sign with another team. 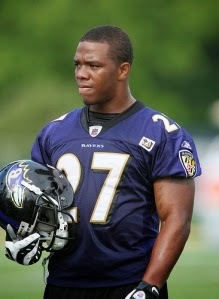 Newsome said he had heard the 28-year-old Rice had kept himself in shape. The Ravens’ G.M. also indicated there was no ill will between him and Rice. “If he gets that opportunity to play with another club, I’ll be happy for him,” Newsome said. But if that opportunity is to present itself, it might have to be soon, as Newsome suggested. Free agency begins in two weeks, and the 2015 NFL Draft is a little more than two months away. Rice publicly apologized again last week for striking his now-wife in an Atlantic City casino elevator in February 2014. The fall-out from the incident led to Rice’s release from Baltimore and his banishment from the NFL for most of last season. At the scouting combine last week, Panthers General Manager Dave Gettleman left the strong impression that running back DeAngelo Williams had played his last snap as a member of the team. On Monday, Williams confirmed that Gettleman’s message was received correctly. Williams told WBTV that Gettleman told him last week that the Panthers will be releasing him as they move toward the start of the new league year. Williams played in just six games during the regular season because of injuries, although he was able to return for the team’s playoff outings. He said he’s not “bitter” about the move, citing Steve Smith’s departure from Carolina last year as a sign that such decisions are part of life in the football business. Williams had 1,432 carries for 6,846 rushing yards and 46 touchdowns since joining the Panthers as a first-round pick in 2006. Designating Williams as a post-June 1 cut will save the Panthers about $2 million on this year’s cap. 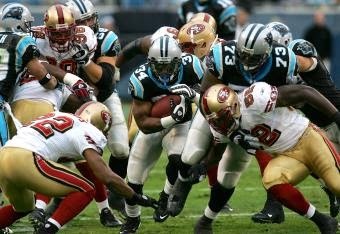 They have Jonathan Stewart and Mike Tolbert under contract for next season. Running back DeAngelo Williams apparently isn’t the only member of the Panthers to get word from the team that they won’t be needed by the team in 2015. 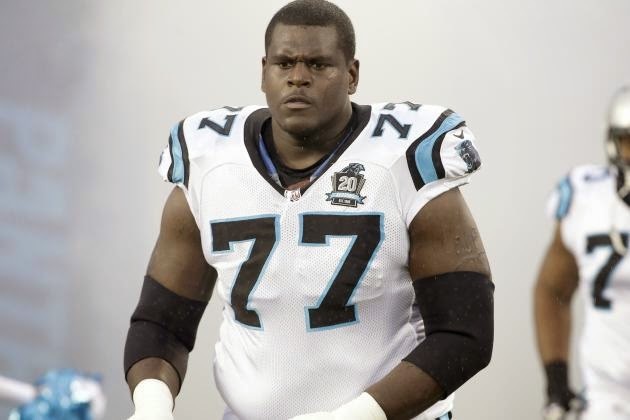 Left tackle Byron Bell is set to become a free agent next month and he wrote on his Instagram account Monday that “it’s been real” in Carolina but that the time has come to see “where the Lord takes me next.” Bell writes that he would “love more” after four years with the Panthers and Jonathan Jones of the Charlotte Observer confirms that the Panthers are looking elsewhere. It’s the expected choice for the Panthers. Bell moved to the left side following the retirement of Jordan Gross and started all but one game for the Panthers in 2014, but the results were dismal and there was little doubt as the season progressed that they’d need to move in a different direction. Bell made the Panthers as an undrafted free agent in 2011 and took over at right tackle a short time later. He made 56 starts in 62 regular season appearances during his tenure. According to a published report, there’s belief that one of the top free agent tight ends could command at least $6 million per season. 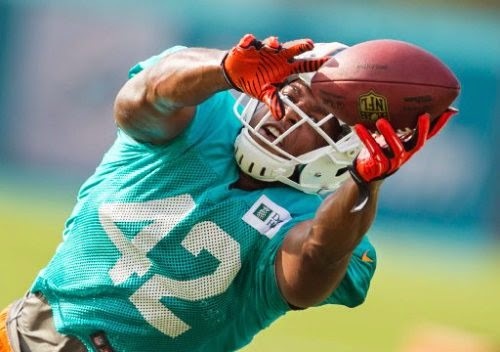 Adam Beasley of the Miami Herald reports the “market” for Miami’s Charles Clay “starts” at $6 million annually. The 26-year-old Clay has been a key part of the Dolphins’ passing attack the last two seasons, hauling in a combined 127 passes for 1,364 yards and nine touchdowns. The Herald‘s report on Clay comes on the heels of the Palm Beach Post‘s Andrew Abramson reporting the Dolphins were expected to retain Clay, but that a price tag of $5 million or more was possible. And the Post‘s report followed a report from Vic Carucci of the Buffalo News, who noted the Bills had their eye on the Dolphins’ pass-catching tight end. The question now, of course, is where Clay’s market actually settles once free agency begins. Given his age, relative good health and production, he does seem well positioned to come away with a nice deal. Clay ranks 48th among PFT’s top 100 free agents of 2015. As the Seahawks received vast criticism for the play call ending in the game-deciding interception in Super Bowl XLIX, New England’s Bill Belichick defended Seattle’s coaches. In an interview with Boston radio station WEEI in the week after the Super Bowl, Belichick called the critiquing of the Seahawks’ second-down throw from the New England 1 “totally out of line,” per the station’s website. Speaking at the NFL Scouting Combine Friday, Carroll said he appreciated Belichick speaking up. 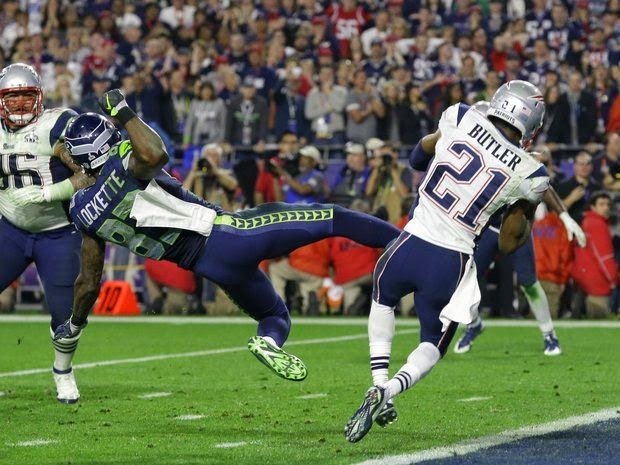 Carroll noted that the Patriots’ final touchdown came on a second-down throw from the Seattle 3. “He knows. He gets it,” Carroll said. Adrian Peterson reportedly has some misgivings about rejoining the Vikings for 2015. In a story published Thursday night, Peterson told ESPN.com’s Ben Goessling he was still sorting out whether he could play again for Minnesota after spending most of the season on paid leave from the club. In the story, Peterson said the Vikings’ willingness to put him on the exempt/commissioner’s permission list in September felt like an “ambush,” with the tailback expressing displeasure about how the decision was made. Peterson was placed on the exempt list after his September arrest for injuring his son during a whipping. In November, he pleaded no-contest to misdemeanor reckless assault. The 29-year-old Peterson can apply for NFL reinstatement on April 15. He has three years left on his contract, and the Vikings have expressed a willingness to have him back in 2015. But is the feeling mutual? 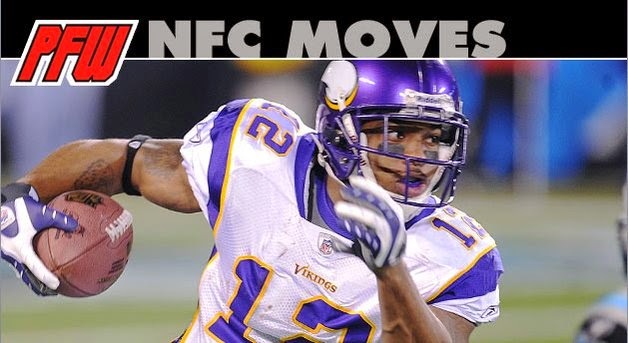 Earlier this month, Peterson indicated he would be open to playing with Minnesota in 2015. However, in the ESPN.com story published Thursday, Peterson made it clear his answer then was marked by his affinity for his Minnesota teammates like linebacker Chad Greenway, not management. The question now is whether the Vikings and Peterson can again get to a good place. 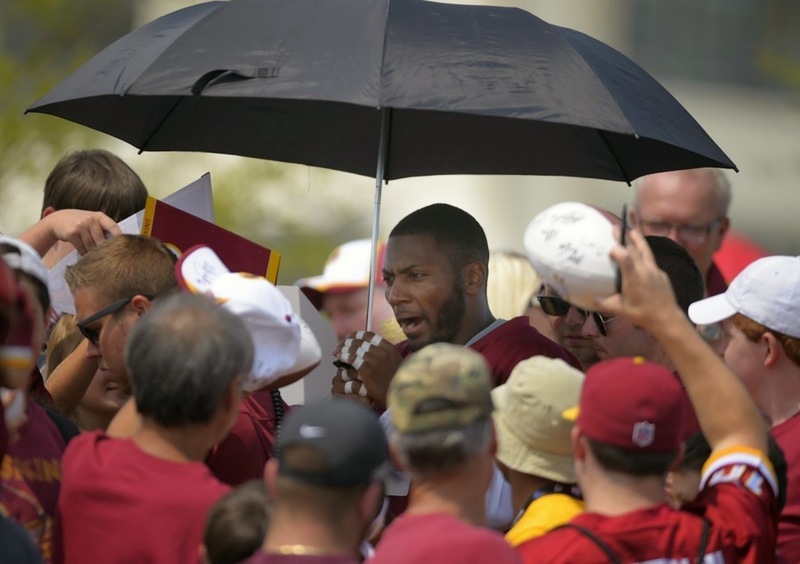 Safety Ryan Clark made the move from Pittsburgh to Washington on a one-year contract as a free agent last offseason, but he won’t be spending any time looking for a new job once the new league year begins next month. Clark announced his retirement during an appearance on ESPN on Wednesday, drawing the curtain on a 13-year career that didn’t seem to be in the offing when Clark showed up to his first training camp in 2002. Clark was an undrafted free agent, but made the Giants and played in 22 games over his first two seasons before making his first stop with the Redskins. He spent two years in Washington and then landed with the Steelers in 2006 to begin his most memorable stretch as a professional player. He started 109 regular season games for the Steelers and six more in the playoffs, including Super Bowls XLIII and XLV. He missed one other playoff game in Denver as a precaution because he suffers from sickle cell anemia, which caused him to fall ill during a 2007 trip to the city and forced him to have his spleen and gall bladder removed. Clark’s been a frequent presence on ESPN over the last few years and a permanent transition to that side of the football world is likely in the cards now that he’s hung up the cleats. Tight end Brandon Bostick beat the Packers to the punch by announcing that the team had given him a pink slip on Monday, a move that Green Bay confirmed with an official announcement on Tuesday. Bostick wasn’t the only player shuffled off the roster. The Packers also announced that they have waived wide receiver Kevin Dorsey. Dorsey was a 2013 seventh-round pick and spent his rookie season on injured reserve. He got waived at the end of the summer in 2014, but was brought back in October and caught one pass and made a couple of special teams tackles in three games before winding up back on injured reserve again to close the season. The departures leave the Pack with three tight ends and seven wideouts on their roster, a number that will drop if wide receiver Randall Cobb winds up seeking his fortune elsewhere as a free agent. The Chargers will meet with the committee that has been formed to explore the building of a new stadium in San Diego. The Chargers also have publicly released their comments to the committee. In their remarks, the Chargers were direct and blunt (and some would say maybe even a little condescending) regarding their expectations when it comes to any ideas to be proposed by San Diego — and regarding a long-time Plan B that possibly has become Plan A. The Chargers also made clear their belief that 20 years without a team in Los Angeles has helped the franchise make significant inroads there, with 25 percent of the season-ticket holders coming from L.A. County and Orange County. “Simply put, it would not be fair to the Chargers — a team that has worked for 14 years to find a stadium solution in San Diego County — to allow other teams that themselves abandoned the LA market to now return and gut the Chargers’ local revenue stream,” the Chargers told the committee, which has no power over whether teams other than the Chargers move to L.A.
A full reading of the summary and the entire remarks leads to one conclusion: The Chargers want San Diego to put up or shut up. The Chargers definitely don’t want San Diego to simply try to come up with a flimsy, hollow proposal so that the politicians can say an effort was made. That attitude will make the Chargers leery of any proposal that emerges, quick to point out the flaws and to argue that the politicians are merely trying to ensure that the Chargers, not the people who periodically are up for re-election, will be blamed if the Chargers leave. It’s all pointing to the Chargers eventually (or sooner) becoming one of the teams to move to L.A, with the other remaining question being whether the other team that moves there is the Rams or the Raiders. While it’s a step short of a declaration of their intentions, Peyton Manning has told the Broncos he’s ready to go again in 2015. 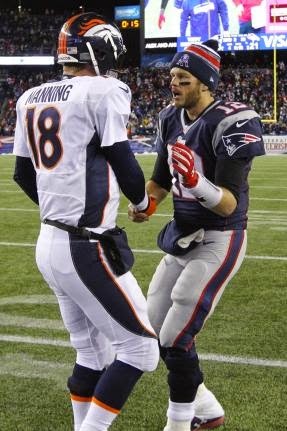 Manning has been working out and getting checked out in New Orleans in recent weeks, and is apparently confident that neither the neck issues nor the leg injuries which slowed him down the stretch will be an issue in the coming seasons. Manning met with the Broncos braintrust Thursday, and some final decision on his status with the team is expected next week. Of course, there are other hurdles to clear, such as compensation and structure thereof. He’ll be due $19 million in guaranteed salary if he’s on the roster on March 9. They could restructure the deal to create more cap room, since they have numerous free agents they’d like to keep. The Cardinals hope they can get receiver Larry Fitzgerald to agree to a new deal that reduces the $16 million he’s scheduled to make this year, and G.M. Steve Keim is working hard on making that happen. Keim told Arizona Sports 98.7 that he’s optimistic a deal will be reached that leaves Fitzgerald in Arizona, at a discount. Of course, any time a team wants a player to take a pay cut, the team is always going to feel better about that than the player. 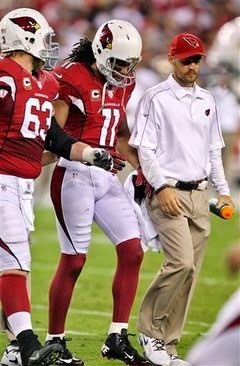 And we don’t know yet whether Fitzgerald is as optimistic as the Cardinals are. Keim added that “It would be awfully tough for me to see Larry Fitzgerald wearing another uniform.” We’ll see how much Keim and the Cardinals are willing to pay to keep Fitzgerald in a Cardinals uniform. Former Seahawks fullback Michael Robinson is just like the rest of us now. The NFL Media contributor and sometimes-confidante of Seahawks running back Marshawn Lynch said he had no idea what his old friend is up to, or if retirement is a possibility. That’s not necessarily a cause which leads to effect, as the mercurial Lynch confounds almost everyone who crosses his path. Seahawks General Manager John Schneider is hoping to find out soon himself, so he can make plans if Lynch isn’t planning on being back. But at this point, few know what’s going on inside that head. And until Lynch has a press conference or something to announce it, it appears no one is quite sure what that will be. Mike Glennon may or may not be the quarterback of the future for the Buccaneers, but Josh McCown is definitely the team’s quarterback of the past. Last year, McCown signed a two-year, $10 million deal, after putting together some very good performances as the backup to Jay Cutler in Chicago. McCown, who started 11 games in 2014, immediately becomes a free agent, and he can sign with any other team immediately. It beefs up an otherwise week class of 2015 free agents, and it could spark a land rush among quarterback-needy teams like the Jets, Browns, and Bills. The Seahawks’ decision to throw a pass on second down from the Patriots’ 1-yard-line with seconds to play in the Super Bowl has been heavily discussed ever since Malcolm Butler picked off that pass. We’ve also heard discussions about Patriots coach Bill Belichick’s decision not to take a timeout before the interception. The argument in favor of taking one is that it would have left more time for Tom Bradyand the offense to tie the score or retake the lead, something wide receiver Brandon LaFell would have accomplished in a different way after watching Jermaine Kearse’s circus catch set the Seahawks up close to the end zone. 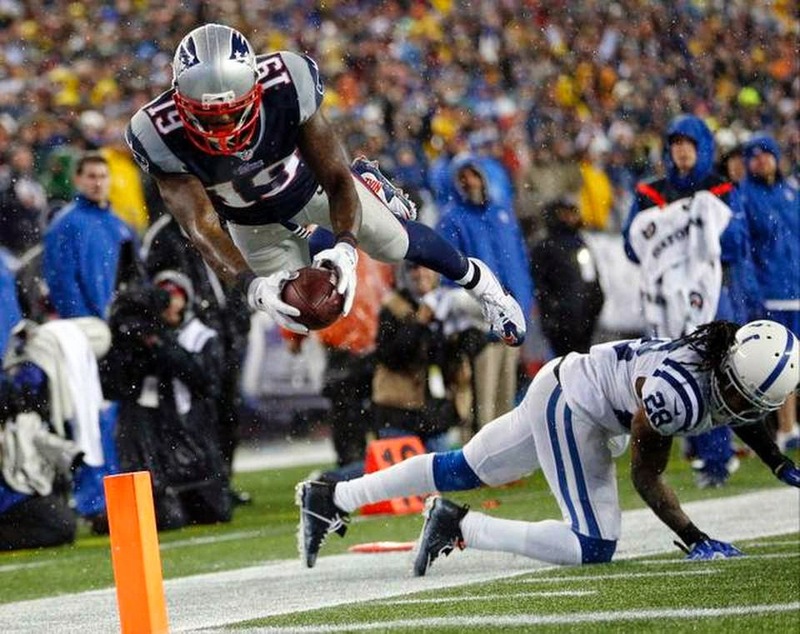 It’s a technique that Belichick employed the last time the Patriots were in the Super Bowl when Giants running back Ahmad Bradshaw was allowed to score with 57 seconds to play in Super Bowl XLVI. The Patriots didn’t wind up scoring and lost the game 21-17, but there weren’t too many people arguing that the Patriots made the wrong call when a field goal would have beaten them. That wasn’t the case against the Seahawks, who needed a touchdown that a majority of people seem to feel was guaranteed by putting the ball into Marshawn Lynch’s hands. Belichick bet they wouldn’t get it and it paid off, leaving the second guesses to fall entirely on the Seahawks’ shoulders. Washington quarterback Robert Griffin III put up a seemingly innocuous Instagram video today, showing himself listening to “Billie Jean” while driving to his morning workout. 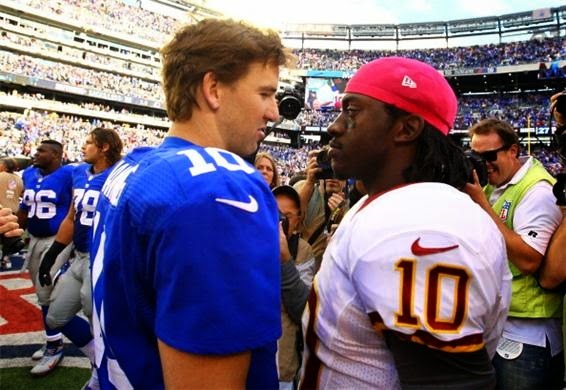 But RG3 is a polarizing figure these days, and he soon learned that nothing he does can be completely innocuous. The fan continued to insist that it’s a bad look for Griffin to be on social media, Griffin continued to insist that he’s just trying to interact with his fans, and neither side seemed to want to back down, with other fans also jumping in to post their own thoughts. Griffin has taken plenty of shots in the last two years, some fair and some unfair. In this case, the fan’s criticism is wrong and Griffin is right. Taking a minute or two here or there to interact with fans on social media isn’t any kind of proof that Griffin fails to take his offseason work seriously enough. Only someone who’s predisposed to dislike Griffin would see it that way. Unfortunately for Griffin, the reality is that until he returns to playing the way he played as a rookie, he’s going to face this kind of criticism. No one complains about Tom Brady’s frequent social media posts because Brady just won his fourth Super Bowl ring. But lots of people complain about Griffin’s social media posts because Griffin is coming off his second straight disappointing season. Just as soon as Griffin gets back to his rookie form, he’ll be embraced by fans on social media again. Until then, he’s going to have to accept that a whole lot of fans will be coming after him, whether that’s fair or not. spiked drinks with ecstasy, and distributed ecstasy, in Las Vegas. Bush’s lawyer strongly denies the allegations. The Lions declined comment to the Free Press regarding the report. Seahawks coach Pete Carroll continues to own the play call that he didn’t make, which becomes even more admirable in light of the fact that he doesn’t call the plays on offense. Most recently, Carroll opted to take his case to a national, mainstream stage by agreeing to an interview with Matt Lauer of NBC’s Today. During the interview, which aired Thursday morning, Carroll acknowledged that it will take time to work this out within his locker room. “I don’t think at this point that everybody’s on the same page about that sequence necessarily, but that’s OK,” Carroll told Lauer. Carroll said he’s not having any trouble getting to sleep in the days after the stunning loss to the Patriots, but that he’s having trouble staying asleep, for reasons unrelated to having a 63-year-old prostate. Pressed by Lauer on whether Carroll has shed tears over the way the game ended, Carroll admitted he has. At this point, the biggest challenge remains getting those players who aren’t on the same page about the decision to adopt the same attitude about the outcome as their coach. While most of the known world has weighed in on Seattle’s late-game play-calling, and the majority of that weight has fallen against them, there is one person objecting. “There has been a lot of criticism that I don’t think is anywhere close to being deserved or founded,” Belichick said on WEEI, via Mike Reiss of ESPNBoston.com. “That football team is very good, very well-coached, and Pete does a great job. 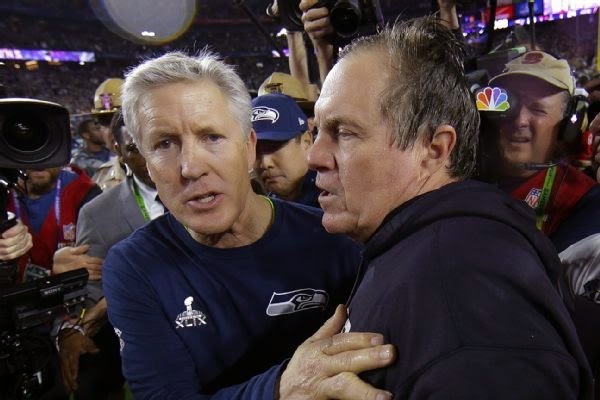 Belichick was also gracious to the Seahawks, knowing himself what it’s like to come so close and lose. Of course, Belichick also benefited from the decision by offensive coordinator Darrell Bevell and the Seahawks, so he’s not going to complain, either.